We can fling or throw all of our burdens, anxieties, and problems to the Lord. The word cast means to send, shoot, or throw. We can shoot or throw as arrows, all of our fears, troubles and worries upon the Lord. 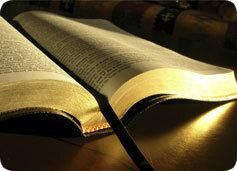 The word cast also gives a picture of extending or stretching out a hand to the poor. It can also be a picture of sprouts or shoots as in Isaiah 16:8. Therefore, it can be said of a good church: "...her branches are stretched out, they are gone over the sea." We must learn how to release every problem to the Lord. We weren't created to carry or support heavy loads. Where do you send your cares? There is a great answer to this question that is found in 1 Peter 5:7..."casting all your care upon Him, for He cares for you." Proverbs 15:29 "The Lord is far from the wicked, but he hears the prayers of the righteous." Daniel 10:12 NASB "Then he said to me, "Do not be afraid, Daniel, for from the first day that you set your heart on understanding this and on humbling yourself before your God, your words were heard, and I have come in response to your words."